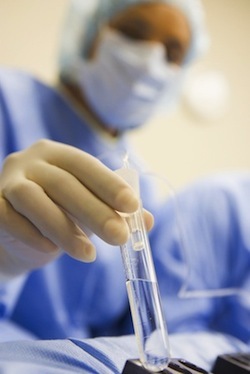 A total of 620 patients receiving fertility treatments at the Reproductive Center of a Zhengzhou affiliated hospital in Zhengzhou, China underwent D2 (day 2) and D3 (day 3) embryo transfers in an attempt to report possible differences in pregnancy, live birth and spontaneous abortion outcomes. D2 embryos were utilized in 365 fertility cycles. D3 embryos were utilized in 255 fertility cycles. Patients in the 35 and older group did not show significant differences in pregnancy rates between D2 and D3 embryos, but there were significant differences in women ages younger than 35. When D2 embryos were used, pregnancy occurred in 32.73% of cases. When D3 embryos were used, that rate climbed to 50.83%. Rates of implantation, spontaneous abortion and live birth did not differ between the D2 and D3 groups. D3 embryos may be the best viable option for women younger than 35 with a poor ovarian response. Source: Xin ZM, Xu B, Jin HX, Song WY, Sun YP. Day 3 embryo transfer may have better pregnancy outcomes in younger than 35-year-old patients with a poor ovarian response. J Assist Reprod Genet. 2012 Jul 20.